I had heard about Monika Kinner-Whalen a few times and also saw her entry in the QUILT CANADA National Juried Show in Halifax this year in May. She entered a rather lovely and unusual piece of wearable art called “A Prairie dress”. Monika’s “Prairie Dress” which she entered into the NJS at Quilt Canada this year. So imagine my pleasure when I finally got to meet Monika recently on a visit to CREATIVE HOUSE SEWING CENTER IN SASKATOON where Monika is a teacher and customer. I was raised by a landscape artist, but have always been smitten by needle and thread. This is the perfect medium for me! I’ve come a long way fast with my art. This year I had the honor of being the profiled artist in Canada’s “A Needle Pulling Thread” magazine. Last year , I had a machine embroidered quilt make the cover of this same magazine as well. I do all my quilts, postcards, and art on Janome sewing machines. 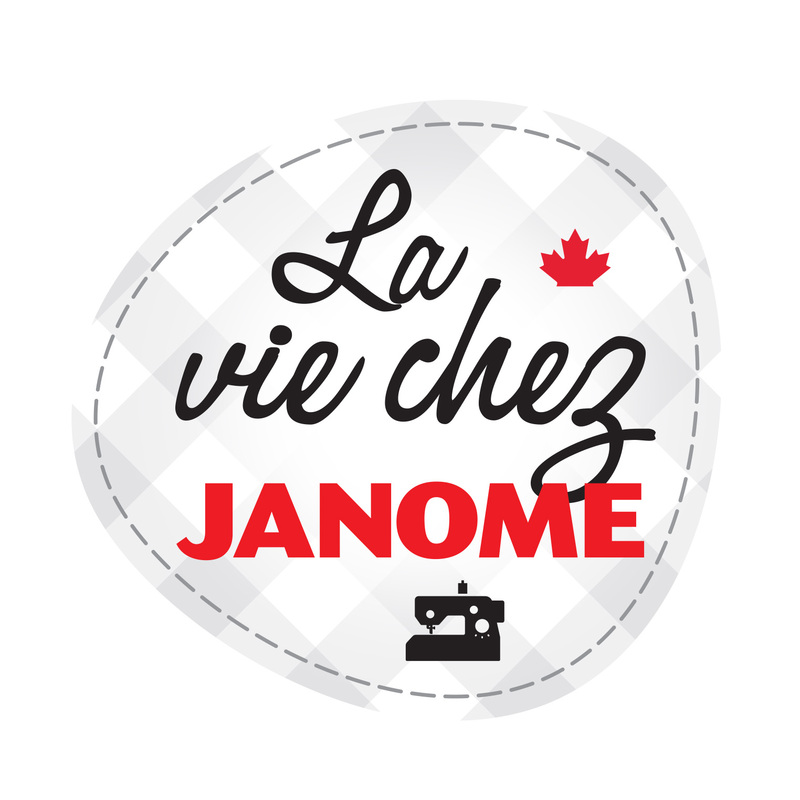 I started on the JANOME 4900 which was my first computerized machine. I fell in love, and quickly decided I wanted more space. I was SO pleased when the JANOME Horizon 7700 was launched. We weren’t in a great financial position at the time, but when a woman wants a sewing machine, a woman NEEDS that machine! We splurged, and when it arrived, my husband attached a note that read, “you better use this”. I’ve been sewing daily since. My JANOME HORIZON 7700 has many, many miles on it. The note is happily displayed in my studio. As a quilter and a threadpainter, the 11 inch space on the JANOME HORIZON 7700 is FANTASTIC! I always use the Acufeed foot when I sew or quilt. I also have the Acufeed Ditch Quilting foot and the Acufeed 1/4″ foot. (I’m totally with you there, Monika……I use those feet all the time too – Liz). They are fabulous. I particularly love the 1/4″ Acufeed foot for putting quilt bindings on. No pins + no slippage of layers = brilliant. I love that I can set my free motion foot to the level that I need it on my JANOME HORIZON 7700 as I go from thin fibre art postcards to thicker bed quilts. The auto tension really works! I sew with 12 weight cotton and 30 wt rayon and never have to touch a thing. 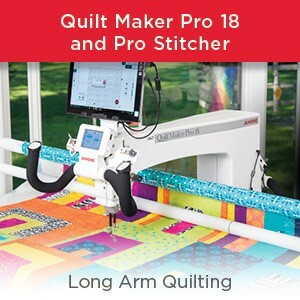 AND I love the blue dot bobbin case – makes Free Motion Quilting a breeze. I recently bought myself the JANOME 3160 QDC for travel & teaching. With free motion embroidery, the best feature ever is the auto thread cutter. 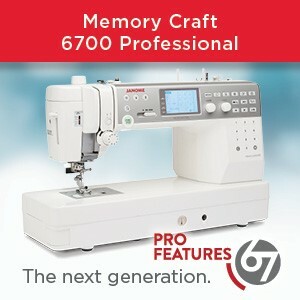 I can stop and restart over and over with no tails and no scissors just like I do with my JANOME HORIZON 7700. The auto thread cutter is a huge time saver for me, and it’s wonderful to have that on a regular sized machine. Once feature that I thought was worth mentioning is the sewing speed slider bar. You don’t get that on non-computerized machines. It’s so helpful when free motion quilting because I can set the maximum speed to medium. This way, I can’t accidentally go too fast and become inconsistent. I found the speed that’s good for me and I can set it there. Both the JANOME HORIZON 7700 and the JANOME 3160 QDC have that feature. YEH!! PLEASE VISIT THE LINKS BELOW for more information about Monika and her work. Thank you, Monika for sharing your story and work with us. Monika’s My Sweet Prairie blog has links to flickr, facebook, her tutorials (Binding, Tips on Tuesdays) and announcements for classes and upcoming exhibits. You will also find her art featured on the Saskatchewa Craft Council’s website. 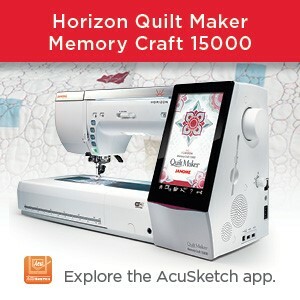 This entry was posted in Canadian Quilter's Association CQA, Creativity, Horizon MC7700QCP, Janome Fun, Janome Quilt, Uncategorized and tagged ACUFEED 1/4 INCH FOOT, ACUFEED DITCH QUILTING FOOT, JANOME 3160QDC, JANOME HORIZON 7700 QCP, MONIKA KINNER-WHALEN of SASKATOON, QUILTERS BOBBIN CASE - BLUE DOT, SPOTLIGHT ON JANOME CUSTOMER. Bookmark the permalink. I met Monika a few years ago at Sew and Home. she was taking a learn to sew class! The next time I met her, I took her postcard class. Then I met her again when she entered her prairie dress in the Saskatoon quilt show. She is an amazing fiber artist who manages to create when her family is busy with other things. An amazing woman and terrific artist! I thought you might like to know that I just returned today from a fiber tour to Bali, Indonesia. Amazing! I have a new appreciation and great respect for the Balinese who produce the batrik fabrics. I knew nothing about Ikat fabric but wow! To think that they bundle, tie and dye the weft thread using bamboo sticks and magically when they are woven the pattern is created is simply amazing. Threads of Life has been instrumental in keeping their weaving and cultural skills alive! We learned all about ikat, batik, silk painting, and indigo dying. I now own more fabric that I need to find a home for! I can hardly wait to get some projects in motion using some of the wonderful fabrics I purchased. Hoope to see you the next time you are in Saskatoon!